Happy Friday! The weekend is here, it’s official. If you’re looking for things to do to occupy your weekend, I did the hard work and selected a few events for you: two movies, two cultural events and a bit of clubbing for the wild ones! My afternoons with Margueritte (La tete en Friche): Currently playing at the Embarcadero Center Cinema, in San Francisco and in Berkeley’s Shattuck Cinemas. 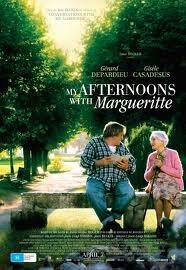 Featuring actor Gerard Depardieu, and Gisele Casadeus, this is the story of an unexpected friendship between Germain, an illiterate considered the village’s idiot and Margueritte, an older, well-read woman who is going to introduce him to the fascinating world of books and words. Click here to see the trailer and get more information about the film, and here to read Philip French’s review in the The Guardian UK. Mozart’s Sister (Nannerl, la Soeur de Mozart): Currently playing at the Bridge Theater, in San Francisco and in Berkeley’s Shattuck Cinemas. 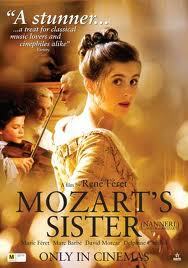 René Féret’s movie offers a touching yet speculative portrait of Wolfgang Amadeus’ Mozart older sister and child prodigy Maria Anna “Nannerl”. We follow the Mozart family’s travels and tours of all the european royal courts preceding the French Revolution and get an intimate look to the Mozart family dynamics. Click here to see the trailer, and here to read the New York Times review. On Saturday night, join the opening reception celebrating the San Francisco debut of French artists Lauren Marsolier and Marc Fichou at the Robert Berman E6 Gallery. Until November 5, the public will discover their photographic work and will put it to work in its relationship to viewing images. Marsolier produces hyper-real photographs from images taken in different places and a different times and that are blend reality and technology into one image. Fichou’s artwork, combining materials with images and videos, intends to bring the viewer into the here and now, creating a sense of simultaneity. 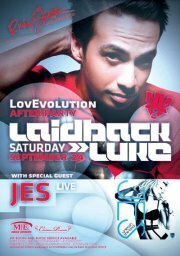 If Saturday night, you wanna go dancing – Laidback Luke will be DJ-ing at Ruby Skye‘s LovEvolution after party, with Frenchy le Freak and Special Guest Jes Live. Party on, Party People!